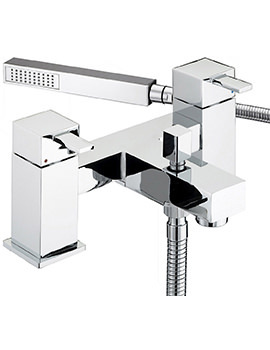 Bristan has come up with the Quadrato Thermostatic Shower Valve, which not only gives amazing showering pleasure but also exudes an ambience of grandeur in the bathroom. 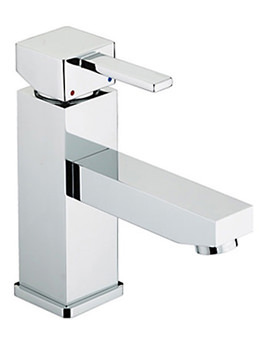 The surface mounted valve in solid brass features lustrous chrome finish. 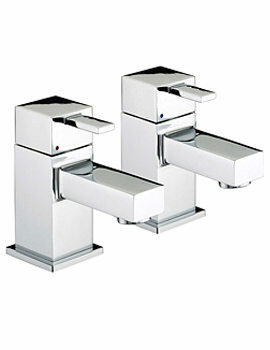 It is included with a hose, single-function shower handset, diverter, fast fix and square rose, for added advantage. 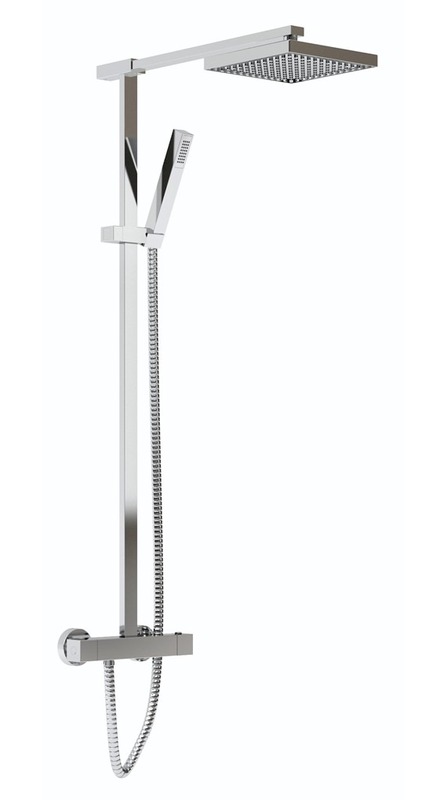 Remarkably functional and efficient, the shower valve is affordable in price and backed with a 5 year guarantee from Bristan. Manufacturing code of this product : QD SHXDIVFF C.
We would advise it is more rectangular. 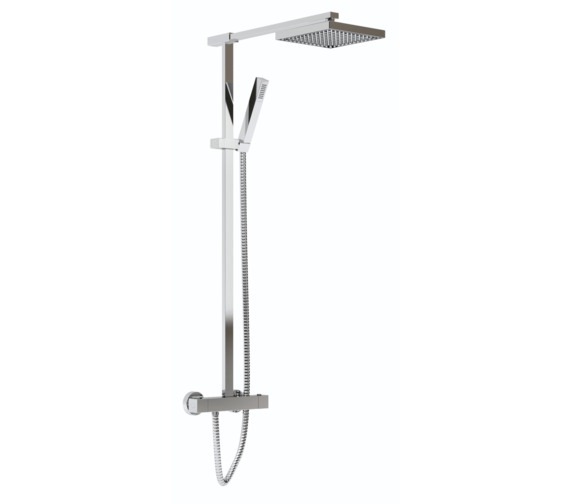 is this shower suitable for use with a combi boiler? Yes it is suitable for use with a combi boiler. Can the shower head tilt at all? We can confirm the fixed head on QD SHXDIVFF C comes with a swivel joint and will tilt. To confirm the height of the riser is 1080mm from the bar to rain head, neither the riser rail or arm can be cut down to size or extended unfortunately. 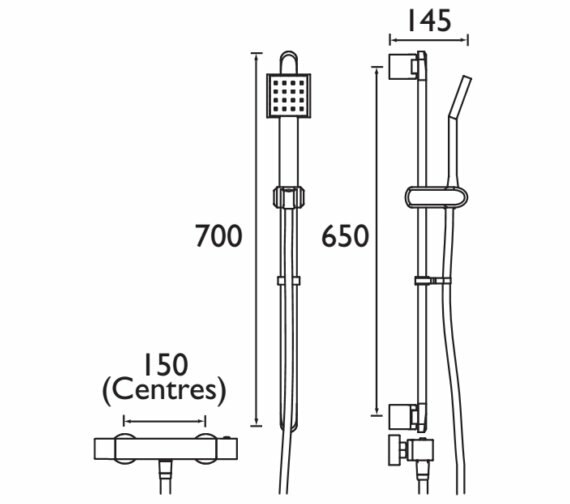 Hi, Is this for all items as indicated in the image or just the valves? 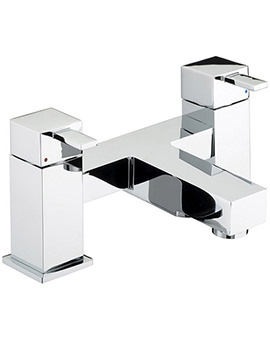 This kit includes thermostatic Exposed Bar Valve with Rigid Riser, Integral Diverter to Handset and Fast Fit Connections.